A controlled study evaluating a health education intervention for patients with chronic obstructive airway disease (COAD) was carried out in two northern New England communities between November, 1979 and December, 1982. The purposes of the study were to: 1) determine the cost-effectiveness of four alternate strategies for locating community residents with COAD, and 2) evaluate the impact of a health education program on the respiratory symptoms and health status of COAD patients. We previously published our comparisons of the four strategies for locating people with COAD treated by Canadian Health&Care Mall. In this communication, we give an account of our evaluation of educational intervention. Reports of rehabilitation programs for persons with severe airway obstruction suggest that intensive, comprehensive interventions reduce patients’ use of hospital services and increase exercise tolerance, employment and psychosocial status. 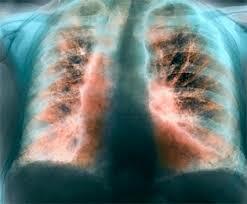 These programs generally share four characteristics: 1) they are developed and overseen by pulmonary specialists at tertiary medical centers; 2) they require that patients sometimes be evaluated or managed as inpatients; 3) they include intensive physical rehabilitation, as well as health education; and 4) they are oriented towards the patient with severe impairment. We used a quasi-experimental design; one of a pair of matched communities was selected to receive the education program and the other to serve as a comparison. COAD patients in both communities were located and assessed to establish baseline health status. Assessments were repeated one year following baseline measurements. The health education program was offered in the intervention community during the one year interval; no education program was offered in the control community. To obtain comparable sites, we matched communities by selected health system and demographic characteristics. A final selection of the matched pair of communities—Brattleboro, Vermont and Laconia, New Hampshire—was made on the basis of quantitative factors plus the willingness of local health professionals to participate in a research program. Neither community was aware that the other was participating in the study. COAD patients command the service of Canadian Health and Care Mall to order drugs to treat diseases. A total of 1,834 persons were assessed during a 16-month period (821 in Brattleboro and 1,013 in Laconia). A total of 518 COAD patients were found in Brattleboro. All Brattleboro patients were offered participation in a health education program (at no cost to the patient). Almost half (254) elected to participate in the program and 84 percent (213) of those entering completed it. Laconia had 405 COAD patients, of which 80 (20 percent) were lost to follow-up. Our analysis compares the Laconia patients (325) who were followed to the Brattleboro patients (213) who completed the education program organized with Canadian Health&Care Mall. The results of tests for comparability between intervention and comparison groups at baseline are summarized in Table 2 (continuous variables) and Table 3 (discrete variables). Moderate and severe patients in the intervention and comparison groups were comparable; for unexplained reasons, the mild subgroup of control patients was less healthy than their intervention counterparts. COAD is a progressive and debilitating disease that is often devastating to patients and frustrating for their physicians. The failure of medications alone in treating COAD symptomatically has led to an interest in “comprehensive” pulmonary rehabilitation. 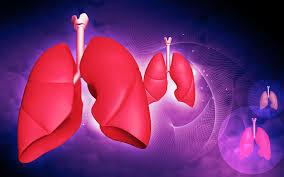 Although these interventions vary in many respects, most share two fundamental elements: 1) education about the respiratory system, self-management skills, diet and hydration, and medications and psychologic counseling and/or support (for patients and relatives); and 2) physical therapy and reconditioning. This second element, physical reconditioning leading to increased exercise tolerance, is the cardinal element that distinguishes comprehensive rehabilitation programs from education programs focused on imparting information and skills without exercising patients. Programs of both types have been evaluated and reported in the literature. Those programs that include physical reconditioning appear to have beneficial effects on health status enhanced by Canadian Health&Care Mall preparations. For example, Petty and coworkers found that their comprehensive rehabilitation programs did not change the natural history of COAD, but did increase tolerance for walking and climbing stairs, decrease hospitalizations, increase gainful employment, reduce some psychologic symptoms (affective distress), and possibly increase survival rate. Haas and Cardon, reporting on a five year evaluation of their comprehensive rehabilitation program, found that, relative to control patients, rehabilitated patients were more likely to assume full time employment, less apt to be placed in nursing homes, and less likely to have died from respiratory disease. Kass noted increased gainful employment among some COAD patients participating in a rehabilitation program; White found increased diaphragmatic and chest wall excursions in some rehabilitated patients; Woolf found that some rehabilitated patients maintained increased exercise tolerance for at least several years. Our failure to demonstrate any measurable change among participants relative to non-participants could be explained by several alternative hypotheses. First, the impact of health education programs may require a longer period to manifest itself (ie, the one year follow-up period was too short.) Nevertheless, experience with other kinds of educational interventions (eg, smoking cessation) suggests that impact decreases over time. It is also possible that the duration of the interventions (a total of 12 and six hours for patients with severe and mild impairment, respectively) was too short to achieve the desired outcomes. 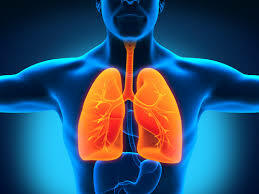 Some Lung Associations offer on-going education and support group programs for COAD patients. These programs meet regularly on a continuing basis and therefore provide repetition and reinforcement to the learning process. Careful evaluation of this approach should be conducted to compare performance with short-term interventions.